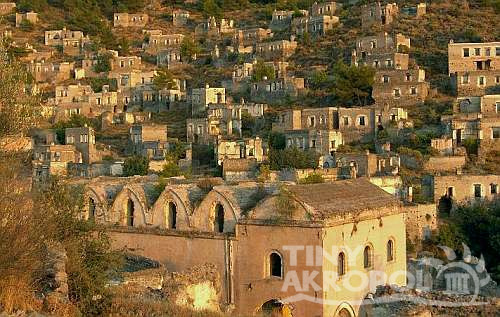 The village of Kayakoy (dated to the 15th cent) lies behind the hills of Oludeniz approximately four and a half km away. The Village consists of over three thousand deserted homes and a whole array of establishments that once supported a whole community. This includes five Doctors, Three Pharmacies, One school and ten monasteries. The village was deserted during a population exchange in 1923. Here you will find Churches, one of which has a mural depicting Christofos last supper on an inside wall. 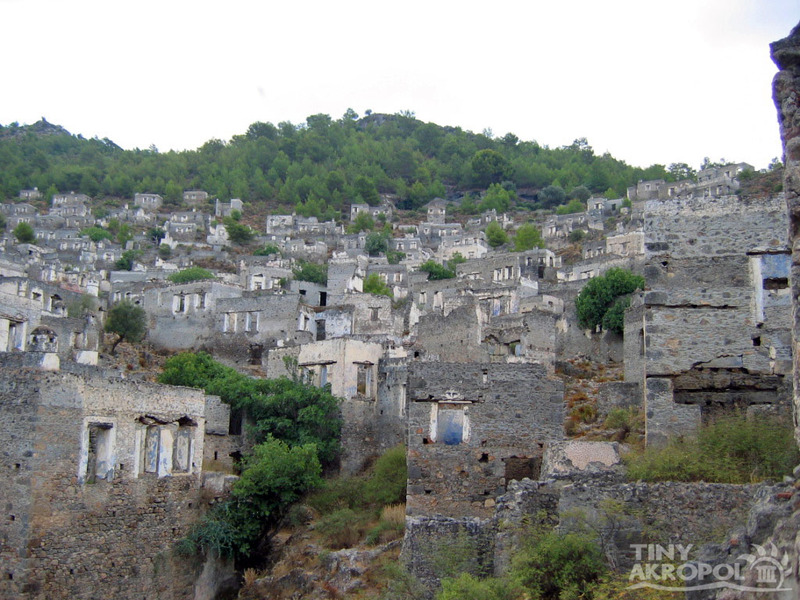 The Village can be reached via a walk (signposted) or a Dolmus from the nearby town of Hisarönü. 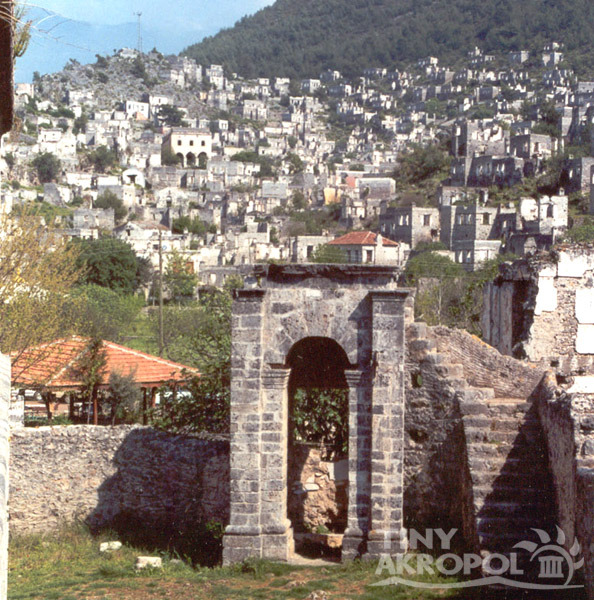 Kaya or Kayaköy (Karmylassos), Greek people used to live in peace under the rule of the Ottoman Empire. 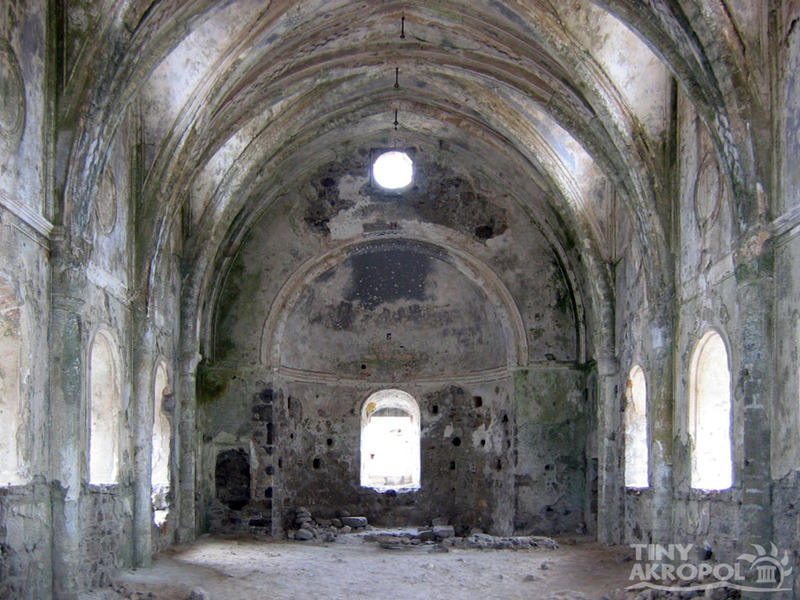 There used to be about 3000 buildings, 5 doctors, 3 pharmacies, 1 school, 2 big churches, more than 10 small monastries. 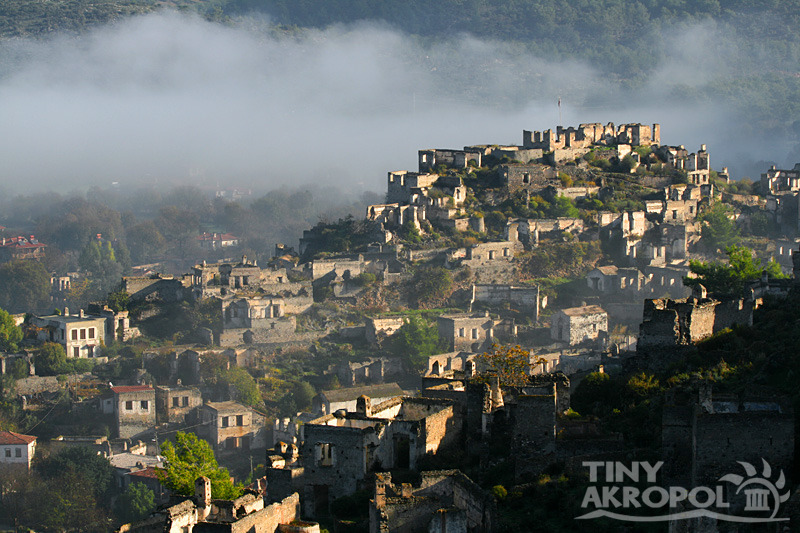 The settling of this village (the Greek settlement) date the 15th century.